Thought I'd start a thread in this section of the forum for this handy gizmo that Jarradds posted about in the General section. Here is the link to the url for the 'do-hiky'. 1/. From the list it looks like there is just one model of the gizmo for all Subarus listed. 2/. Will this fit an 05-08 Outback? 3/. What is involved in fitting it? 4/. Where did you fit the box? 5/. Pics of the instructions would be good as well. Last edited by Barry; 19th May 2012 at 09:57 PM. I have checked the cushieaudio site and while they have a pdf showing the connections on the rear of radios for many brands they don't have one for Subaru. I have asked if they could post a pic. Hi Barry. I will post a report after work tonight on this. There are two Grom versions, I think the only difference is that one is USB compatible. Then there is a Dension version which plugs into the FM transmitter. I believe my Outback is an 05 model but 04 build?? ?, So I think these will fit the 05-08 versions BUT there are variations in the stereos so don't hold me to it. My model is GX-201KH which is on the compatible list here- Compatible stereo models include: GX-806EF2, GX-201JE, GX-201LE, GX-201LH, GX-203JE, GX-204LE, P-206 UNB, GX-201KH, GX-203KH, GX-204KH. I have photos of the installation but unable to upload ATM, this will be done in the next day or two. The hardest part of the installation was gaining access to the back of the stereo. 2. Remove the plastic interior the gear hood connects too. This was the hardest part, I gave up on finding an easy way and was fairly forceful, I was able to lift up the plastic a few millimeters on either side of the gear stick, I then had to unclip it at the back (towards Hi/Lo, back of car) I did this by grabbing the piece of plastic on either side (I was able to put fingers on the other side due to unscrewing the gear knob) and then pulling it towards the stereo... I was pretty forceful, but no damage done. 3. I then unclipped the wiring to the cig lighter and placed the gear knob/hood and casing on the floor. 4. I then undid two screws, one on each side of the gear stick. This allowed me to remove the trim that runs up the side of the stereo (roughly 1inch wide) it is held in by 3 or 4 clips which comes off easily once trim removed. 6. At this stage I would move the passenger seat as far forward as possible as you need to place the stereo on it and the cords aren't very long. I did this once i tried to move the stereo and it was difficult supporting it. 7. I then undid the screws on either side of the stereo - either 6 or 8 screws, I undid them all but 2 weren't need, i think the two at the top. 8. At this point I stopped listening to the radio and took keys out of ignition to be safe. 9. I then pulled the stereo forward about 2inches and undid the plug that sits behind the hazard light (top left for me), this was hard to unclip, i suggest using a small flat head and releasing the clip on the bottom. I pulled it forward another two inches and undid the piece of duct tape holding the excess cord to the stereo together. 10. I pulled the stereo out as far as i could and rested it on passenger seat. 11. On the bottom right(I will double check this) there is a connection to plug a CD changer too, the Subaru data cable supplied with Grom connects to this. The data cable has a second plug - this is for certain cars not subaru so i just ignored it. 12. Below the stereo there is a box presumably for the Air con, there is room on either side of this for the Grom device. I placed it on the drivers side with the ipod cord connection facing the rear of the vehicle this way i can add a second cord without removing the stereo, only the thing i removed in steps 1,2 & 3. 15. tested it- My stereo has AM/FM/CD & CHR - I thought this ran off CD so tried that and no luck then pressed CHR and it worked. Instructions supplied are very basic- just a generic diagram of where the cords should go, safety info and waiver of liability. I drove over 500km on the weekend and didn't have an issue with it, the device will charge Ipod/Iphone as well. Thanks for the detailed description Jarradds. I think we both have 04 builds of the 05 Manual Outback. Does yours look generally like this? Mine has the 'integrated' radio and push button air con. i.e. 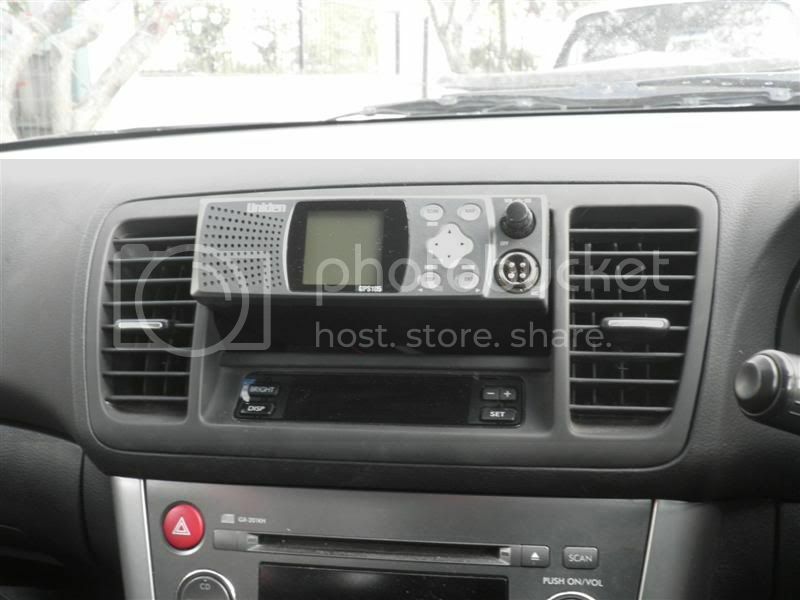 no nobs for heating and cooling and the radio is NOT a 'double DIN' type, so can't be replaced. I have AM/FM/CD/CHR as well, so hopefully it is the same as yours. Thanks again for your help, no doubt your photos will clarify a lot when you get them posted. Just noticed something out-of-focus in the photo, so checked the car.. my radio is also GX-201KH which I guess answers my question, and means I will find your photos really useful. Last edited by Barry; 21st May 2012 at 07:20 AM. Looks identical to the photo. I think CHR is in relation to the CD Changer, can't be certain though. LOL, only had the car 3 1/2 years and never even noticed CHR. Yes, I think it is 'Changer', for the stacker you and I don't have. Have just ordered the bits from Cushie Audio. Hopefully I'll have it all fitted in the next week or so. Will be nice to have 'proper' Bluetooth. Australia Post tracking indicates that they have just attempted to deliver this. Will pick-up from the post office tomorrow and fit on Saturday!